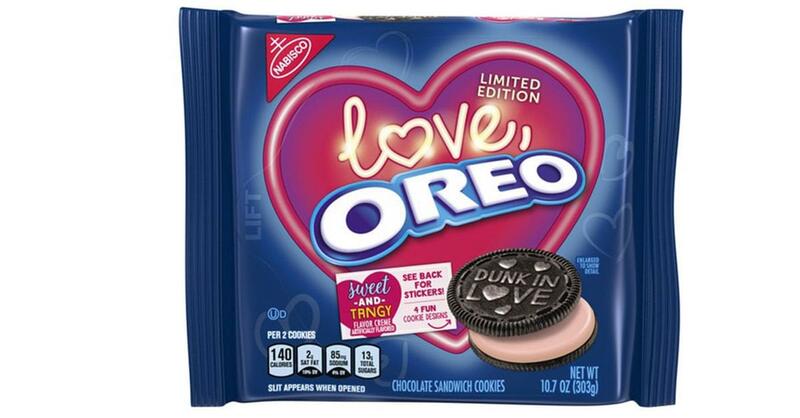 Described as “Sweet and Tangy,” these pink-filled limited edition Oreos are sure to be a hit this Valentine’s Day. “DUNK IN LOVE,” “Let’s Twist,” “XOXO OREO,” and “Dear Cupid Send OREO” are the cute messages that can be found written on the Oreos. These sweet treats are available at retailers nationwide wherever Oreo Cookies are sold.